Gov. Doug Burgum — who is advocating a new tax on the elderly — believes the design of the mansion, which is now under construction, is not good enough. He wants to customize it with various features including a “heated garage floor” and a “skylight,” which he is willing to pay for personally, the Associated Press reports. Burgum claims that the new features are energy-efficient and will actually save taxpayers money. We have asked his spokesman for proof of this and will update with any comment. In the end, it doesn’t really matter what Burgum wants, because House Majority Leader Al Carlson won’t give him the pleasure of walking barefoot in the garage in winter. “The design already has been approved by a committee and the governor doesn’t get to change anything just because he’s willing to pay for it,” AP paraphrased him as saying. So there you have it. Big boys talking about big ideas. Did we mention there is a plan to raise taxes on old people? 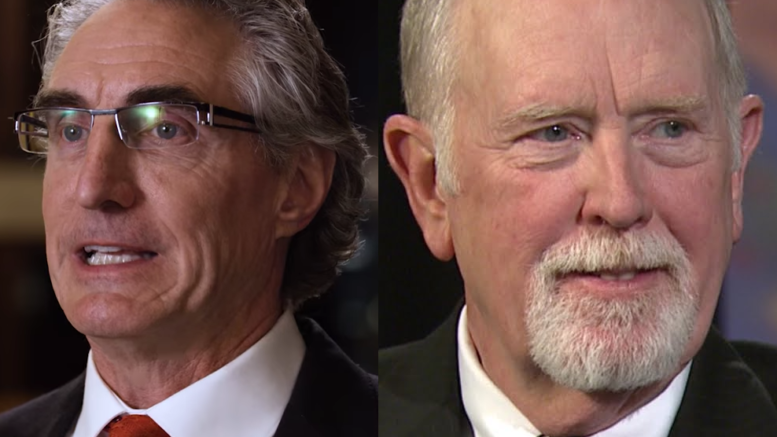 2 Comments on "Big Boys Burgum and Carlson Feud Over Interior Design"
Why are telling us that? Tell your Republican overloards Sandy. Whatever you do don’t recommend clean green energy. Can’t have that in this Big Oil operated State.No way No how.